Earwax is a very healthy substance naturally created by your ear, but in some cases it can cause problems like a buildup or blockage, which can lead to infection or temporary hearing loss. 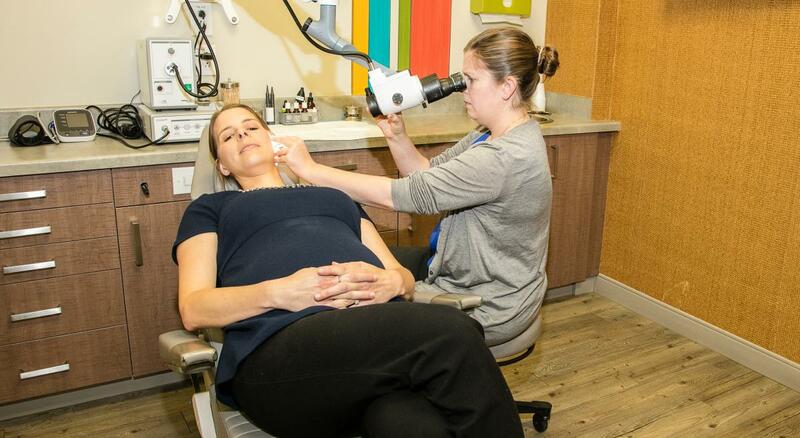 If you’re experiencing symptoms due to an earwax blockage, we will perform a quick and easy removal procedure during your appointment to unclog your ear canal. A blockage of earwax is usually caused by an overproduction of earwax or insufficient cleaning. Surprisingly, the most common cause of a blockage is incorrect at-home earwax removal. Often, instead of cleaning out the earwax it is just pushed deeper inside the ear. Earphone usage can also cause wax buildup, as the earphones can prevent earwax from naturally coming out of the ear canal.